FOR IMMEDIATE RELEASE - Local young professionals will have a chance to hear from music executive & entrepreneur Natalie Edell at an upcoming Santa Maria Connect! Emerging Professionals networking event. Edell began her journey in the music business at only 18 years old, started her own music media company IndieU, and now works at Grand Cru Entertainment where she manages and develops Grammy-winning and nominated Songwriters, Producers, Instrumentalists and Artists. At Santa Maria Connect!, Edell will talk about her failures and successes throughout her leadership journey as a young professional in the music industry. The event is happening May 22nd from 5:30 to 7pm at the Holiday Inn Hotel & Suites in Santa Maria (2100 N. Broadway, Santa Maria). 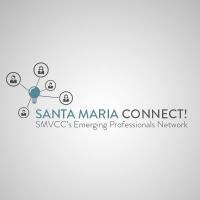 Tickets are $15 and can be purchased at https://santamaria.com/events/details/santa-maria-connect-smvcc-s-emerging-professionals-network-31713. Run by the Santa Maria Valley Chamber of Commerce, Santa Maria Connect! Emerging Professionals Network is a forum that brings together young professionals for networking, leadership development and more. Questions about the Santa Maria Connect! program can be directed to Alex Magana, Events & Special Projects Manager at the Santa Maria Valley Chamber, at (805) 925-2403 x 814 or alex@santamaria.com.